The Capilano Suspension Bridge is a simple suspension bridge crossing the Capilano River in the District of North Vancouver, British Columbia, Canada. The current bridge is 136 metres (446 ft) long and 70 metres (230 ft) above the river. It is part of a private facility, with an admission fee, and draws over 800,000 visitors a year. As well as the bridge itself and Treetops Adventure, the first venue of its kind in North America, the park also features rain forest ecotours, award-winning gardens, nature trails, North America's largest private collection of First Nations totem poles, period decor and costumes, and exhibits highlighting the park's history and the surrounding temperate rain forest. Guests can also witness a First Nations performance, featuring their traditional Regalia (ceremonial dress), masks, dancing and storytelling. 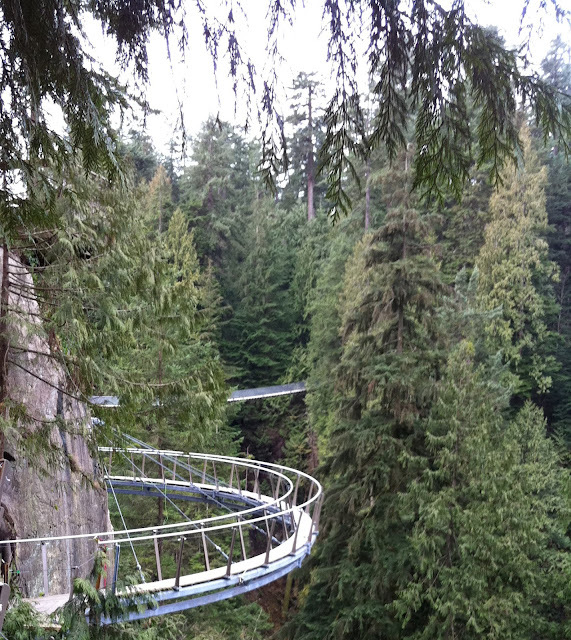 In 2012, a new attraction called Cliff Walk was added to the park. This adventures is free and comes as a bundle along with the other attractions. In 1999, a woman dropped her 18-month-old, disabled child off the bridge. She claimed she stumbled accidentally and the child slipped from her grasp. The child was not seriously injured. The woman lost legal custody of her child as a result of the incident. The woman took legal action against the owner of the bridge, alleging negligence by the owner. The case was settled out of court. In 2006, a 300-year-old, 46-tonne Douglas fir tree toppled during a heavy snowstorm. The tree fell across the western end of the bridge. Park officials closed the bridge temporarily while repairs were performed. 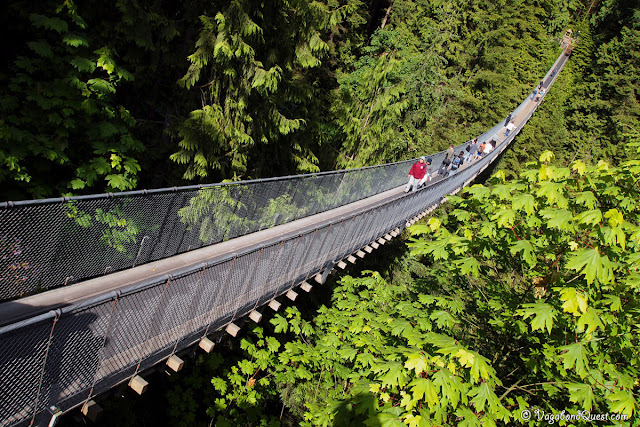 On June 6, 2010, a teenage tourist on a class trip from California climbed over a railing and fell more than 30 metres from a fenced off viewing platform near the bridge. By the time rescue workers came to his aid, the victim was dead. The official RCMP finding was that the teen was under the influence of LSD at the time of the incident. On June 2, 2012 a 30-year-old tourist from Ontario died after falling near the bridge. Police say the victim was hiking through trails near the popular attraction when he fell to the riverbed below.